Even though the temperatures are rising in Northern Colorado, a person should always be prepared for snow in February and March. While the high country is still getting fresh powder almost daily, the lower elevations are enjoying a nice thaw from the chilly winter temps. At Advanced Landscaping and Sprinklers, we can handle your large snow removal services in CO. If you run a business or manage an apartment complex, we can have your lots and entrances cleared in very little time once the next snowfall hits. How large is your lot or parking area? If you own an apartment building, it’s important to let us know how many spaces or how large of an area you would like us to clear, so that we can give you an accurate estimate. Between what hours do you need us? If you open your store early and need to have clear access to your entrance before a certain time, be sure to let us know that when you call. Also, if your lot is emptier during certain hours, we can come and clear snow when it works best for you. Do you have a certain place you’d like us to put the snow? If you have an unoccupied or empty area of your lot, we can push the snow to that spot, keeping it out of the way for your customers. 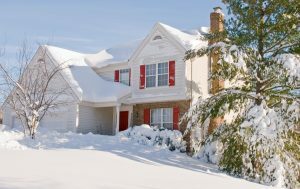 The sunny days are always great, but when the white stuff returns, call on Advanced Landscaping and Sprinklers for professional snow removal services in CO.